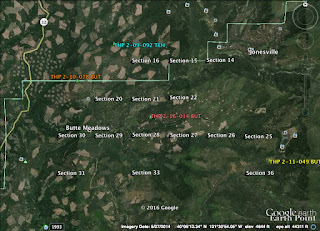 Sierra Pacific Industries to clearcut at Butte Meadows NE of Chico, CA. 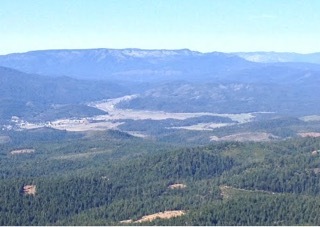 This THP is at Butte Meadows about 25 miles NE of Chico, CA and about 18 miles SW of Chester, CA. Sierra Pacific Industries is planning a tractor based clearcut and commercial thin logging operation in ponderosa pine, sugar pine, white fir and incense cedar forests at an elevation of 4,200 to 5,600 feet. Sierra Pacific Industries is planning 12,014 feet of new road construction, and 7,250 feet of road re-construction. Existing road 120E2 is proposed for use inside a class I (year round) watercourse, and seasonal road 140E1 is proposed for use adjacent to a wet area. There is a debris slide outside of the THP area near several haul roads in section 29. 41 road drainage sites are planned for work including rocking, dip construction, ditch cleaning, culvert repair/replacement and restoration of washed out crossings. Three goshawk sightings were reported; including a sighting in section 15 (within .25 mi of units 4, 5 and haul roads 180E, 350G13), a sighting in section 11, and a sighting in section 36. Other wildlife sightings include: an historical (1978) sighting of a Sierra Nevada red fox within 1 mile of the THP area in section 30, an osprey sighting in section 30 (within .25 mi of haul roads 190A and the A Line Road), and a cascade frog sighting in section 29. There are CA spotted owl nesting territories in section 10, and within .25 miles of unit 10 in sections 31 and 32. Upswept moonwort was found in unit 15B, scalloped moonwort was found in units 3, 25B and haul road 180E, Mingan moonwort was found in unit 15B, Nightblooming false bindweed was found in units 1, 3 and haul road 180E, and Jonesville Springbeaugy was found in unit 15B. Green Diamond Resource Company to clearcut trees up to 72” dbh near the CA/OR border. This THP is about 15 miles NE of Crescent City, CA and within a mile of the CA/OR border at an elevation of 560 to 1,600 feet. 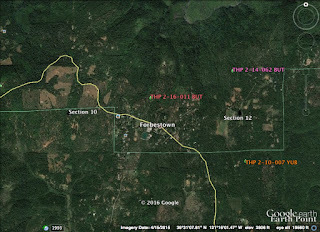 Green Diamond Resource Company is planning a mostly clearcut tractor and cable logging operation in Douglas fir, redwood and western hemlock forests. There are 3 landslide terrain sites in units B, E and F, and trees up to 60" dbh in unit B, and trees up to 72" dbh in units E & G. 11 road drainage sites are planned for work including rocking, dip construction, ditch cleaning, culvert repair/replacement and restoration of washed out crossings. Tailed frogs were reported adjacent to units A, E and G. There are 2 spotted owl nesting territories within 1.3 miles of the THP area. This THP is about 8 miles SE of Crescent City, CA and just SE of Highway 101 and Redwood National Park at an elevation of 800 to 1,640 feet. Green Diamond Resource Company is planning a mostly clearcut tractor and cable logging operation on steep and unstable slopes in redwood and Douglas fir forests. The THP area flows into the Klamath River which is listed as an impaired watershed for sediment, temperature, nutrients and dissolved oxygen. There are 2 landslide terrain sites located along the northern and eastern boundaries of unit B, and disrupted ground in unit C. Green Diamond Resource Company is planning to use ground based equipment on steep slopes over 65% grade within unit A on designated skid trails. Four road drainage sites are planned for work including rocking, dip construction, ditch cleaning, culvert repair/replacement and restoration of washed out crossings. 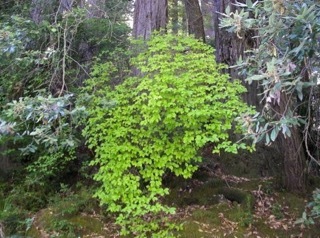 There is an osprey nest site within .25 miles of the W10 haul road, and a marbled murrelet stand within .25 miles of the H200 haul road and within 300 feet of the W10 haul road. This THP is about 6 miles NE of Orick, CA and about 9 miles SE of Klamath, CA just east of Highway 101 and Redwood National Park at an elevation of 300 to 1,840 feet. 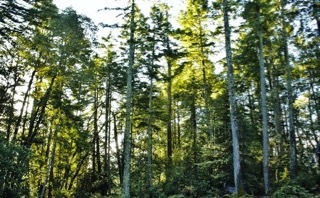 Green Diamond Resource Company is planning a mostly clearcut tractor and cable logging operation on steep and unstable slopes in redwood, Douglas fir, western red cedar and western hemlock forests. The THP area flows into the Klamath River which is listed as an impaired watershed for sediment, temperature, nutrients and dissolved oxygen. There is 1 shallow rapid landslide in unit A, 2 shallow rapid landslides in unit B, 5 shallow rapid landslides and an unstable perched fill off an old landing in unit C, and 2 shallow rapid landslides in unit D. There are also 4 road failure sites where water has been diverted down the road bed resulting in fill failures that will need to be re-constructed. 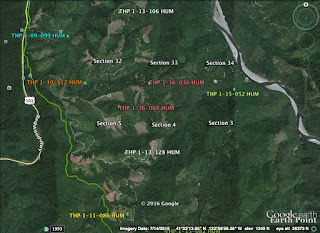 Green Diamond Resource Company is planning to re-construct the CL-1040 Road within a watercourse inside unit A, and construct a steep road on slopes over 65% within unit B. Six road drainage sites are planned for work including rocking, dip construction, ditch cleaning, culvert repair/replacement and restoration of washed out crossings. There is an osprey nest within unit B, within .25 mi of unit E, within .25 mi of the CL-1040 Road, and a second osprey nest within .25 mi of the CL-1040 and CL-1800 roads. A bald eagle nest is located within 120 feet of the Klamath River, within .45 miles of the CL-1800 Road, and a second bald eagle nest is located within 100 feet of the Klamath River, and within .44 miles of the CL-1890 Road. 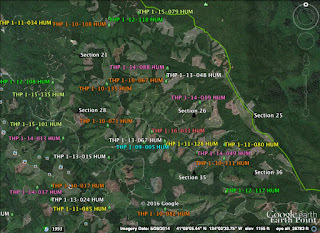 There is a great blue heron rockery 1.2 miles north of unit E. Spotted owl nesting territories are located within .35 mi of units B, C and D, and within .5 mi of units A and E. This THP is just north of Green Diamond Resource Company’s recently submitted Miley's Thin THP 1-16-008 HUM. 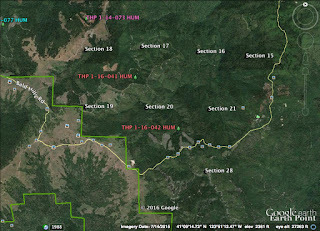 This THP is 7 miles west of Willits, CA and a few miles north of Highway 20 at an elevation of 400 to 1,640 feet. Mendocino Redwood Company is planning a tractor and cable logging operation on steep and unstable slopes in redwood and Douglas fir forests. The THP area flows into the Noyo River which is listed as an impaired watershed for sediment and temperature. There are multiple landslide terrain sites including rock slides, earth flows, debris slides and 6 road failure sites including multiple cut bank, fill slopes and seep related failures. Mendocino Redwood Company is planning to use heavy equipment for skidding operations on steep slopes over 50% grade with a high erosion hazard. 50 road drainage sites are planned for work including rocking, dip construction, ditch cleaning, culvert repair/replacement and restoration of washed out crossings. There are 6 spotted owl nesting territories within 1.3 miles of the THP area. 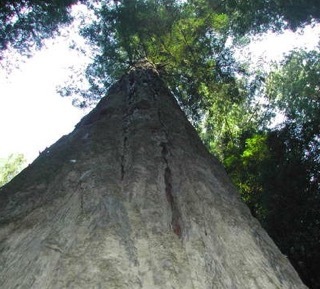 Green Diamond Resource Company to clearcut log south of Redwood National Park. This THP is about 6 miles NE of Trinidad, CA and about 6 miles east of Patrick's Point and Highway 101 at an elevation of 1,200 to 2,400 feet. Green Diamond Resource Company is planning a mostly clearcut feller buncher, cable and shovel logging operation in redwood and Douglas fir forests. There is an unstable area between 2 watercourses in unit D, and several small unstable areas along the southern boundary of unit D. 7 road drainage sites are planned for work including rocking, dip construction and culvert repair/replacement. Marbled murrelet stands are located 1.02 miles south of unit D, within .25 mi of the BL2000 haul road, adjacent to highway 101 and within .25 mi of the LP Mill Road. An historic osprey nest is located within .29 mi of Highway 101, within .25 mi of the LP Mill Road, and within .25 mi of the BL2000 haul road. Southern torrent salamanders and tailed frogs are know to occur in watercourse areas of Pitcher Creek. There are 6 spotted owl nesting territories within 1.3 mi of the THP area. 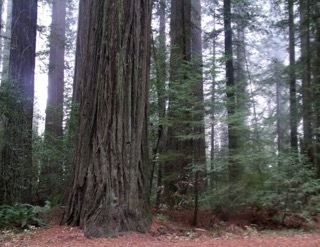 Humboldt Redwood Company to log trees up to 70” dbh south of Scotia, CA. This THP is about 7.5 mi south of Scotia, CA and Highway 101 at an elevation of 1,200 to 3,600 feet. Humboldt Redwood Company is planning a tractor and cable logging operation on steep and unstable slopes in redwood and Douglas fir forests. 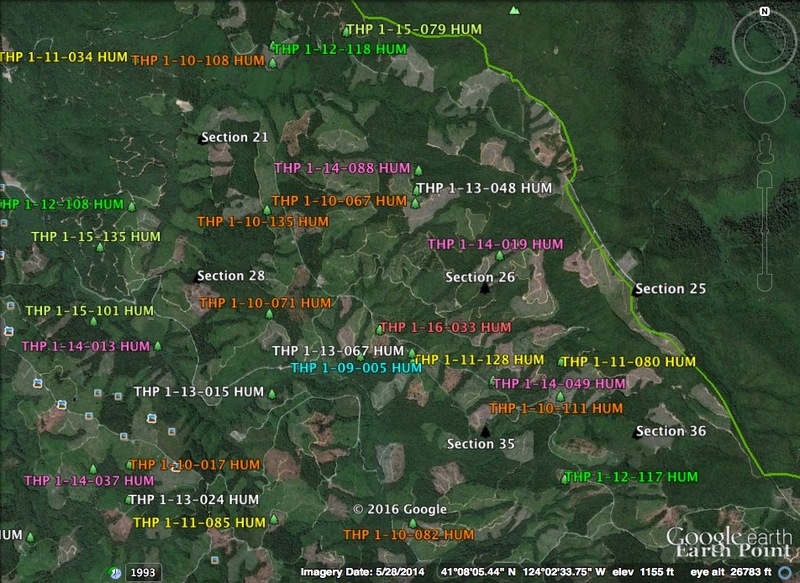 Within the THP area are 60 landslide terrain sites including; debris flows, debris slides, rock falls, earth flows, disrupted ground and steep inner gorges. There are 4 road failure sites including a road bed destroyed by a large earth flow, and 3 cut bank and fill failures. 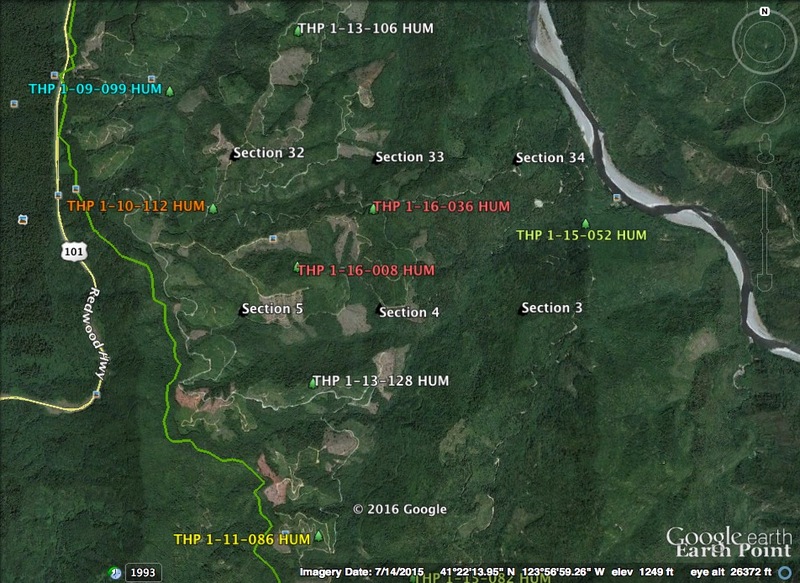 Humboldt Redwood Company is planning to use ground based equipment in areas designated for cable logging, and construct 3 segments of logging roads across unstable areas along the D86, F88.65 and F Roads. 43 road drainage sites are planned for work including rocking, dip construction, culvert repair/replacement and restoration of washed out crossings. A sharp shinned hawk nest is located in unit 3, and there is potential habitat for fisher, marten, marbled murrelet, and golden eagle. There are 12 spotted owl nesting territories within 1.3 mi of the THP area. This THP is about 7.5 mi SE of Elk, CA and about 7.5 mi SW of Philo, CA along the Mendocino coastline. 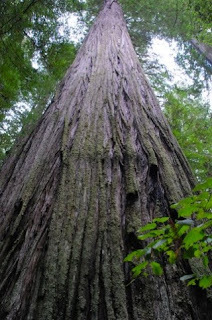 Mendocino Redwood Company is planning a tractor and cable logging operation on steep and unstable slopes in redwood and Douglas fir forests at an elevation of 500 to 1,600 feet. The THP area contains 13 landslide terrain sites including earth flows, debris slide slopes, debris slides, and soil creep. There are multiple road failure sites including cut bank failures, fill failures and washed out crossings. Mendocino Redwood Company is planning to use heavy equipment on unstable areas (deep seated landslide terrain), and use heavy equipment on steep slopes between 50% grade and 65% grade with a high erosion hazard in units 1, 6 and 8. They also want to use heavy equipment on steep slopes over 65% grade along the NW corner of unit 1, and construct 2 segments of seasonal steep roads between 15% and 20% grade that exceed 500 feet in length. 17 road drainage sites are planned for work including rocking, dip construction, ditch cleaning and culvert repair/restoration. There are 5 spotted owl nesting territories within .7 mi of the THP area. 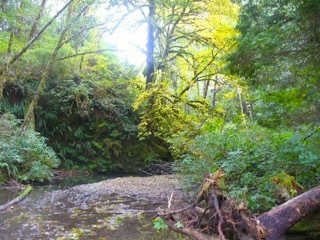 Green Diamond Resource Company to log east of Redwood National Park. PANORAMIC Photo By t for texas. This THP is about 8 miles west of Weitchpec, CA and about 15 miles NE of Trinidad, CA near the eastern boundary of Redwood National Park. Green Diamond Resource Company is planning a tractor and cable logging operation on steep and unstable slopes in Douglas fir forests at an elevation of 1,740 to 2,880 feet. The THP area flows into the Klamath River which is listed as an impaired watershed for nutrients, temperature, dissolved oxygen and sediment. There are shallow rapid landslide terrain sites and bank failures inside units A and B mostly related to watercourses. Green Diamond Resource Company is planning to use 3 existing skid trails on steep slopes over 65% grade, and use a skid trail for 100 feet inside the outer edge of a class II (mid sized) watercourse in unit C. There are 4 segments of steep road that exceed 15% grade for a distance of 200 to 500 feet in units A and C, and road re-construction is planned on 60 feet of road prism that failed on an existing road in unit B. 11 road drainage sites are planned for work including rocking, dip construction, culvert repair/replacement and restoration of washed out crossings. Golden eagles have been sighted within .5 mi of the THP area, and southern torrent salamanders are known to occur approximately 200 feet downstream of unit C. There are 5 spotted owl nesting territories within 1.3 miles of the THP area. 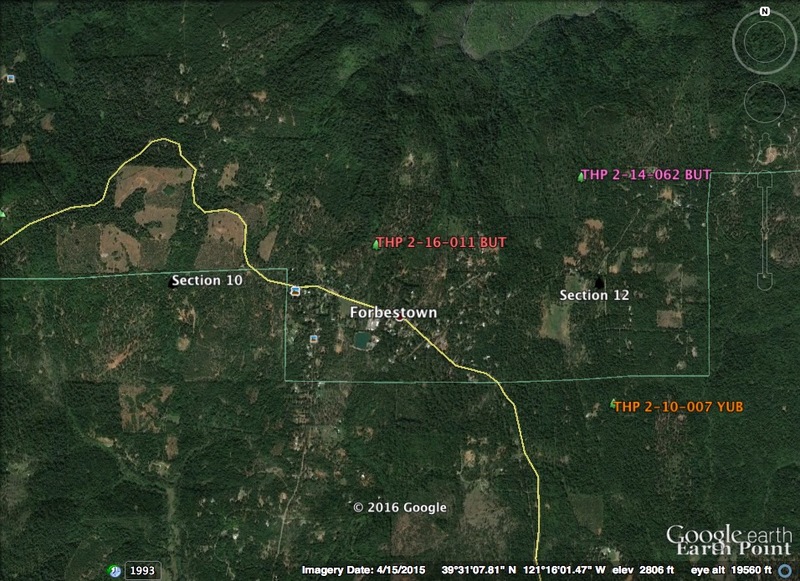 Sierra Pacific Industries to log adjacent to Forbestown, CA. The THP area is about 15 miles east of Oroville, CA and adjacent to the town of Forbestown, CA. Sierra Pacific Industries is planning a mostly shelterwood (overstory removal) tractor based logging operation in ponderosa pine, sugar fir, Douglas fir and incense cedar forests at an elevation of 2,720 to 3,240 feet. SPI is planning to use heavy equipment on 24 acres inside seasonal wet meadow areas to remove encroaching conifers in section 12. There was a 1982 sighting of a goshawk .7 mi north of the THP area. Sierra Pacific Industries to clearcut log redwood trees up to 60” dbh near the Avenue of the Giants. 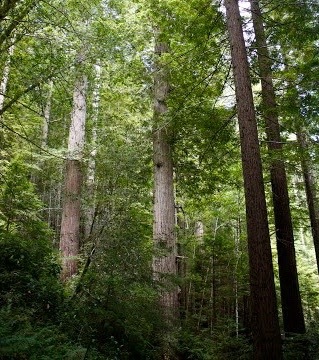 This THP is a few miles east of Myers Flat and highway 101, and east of the famed Avenue of the Giants where majestic redwood trees tower to over 200 feet high. Sierra Pacific Industries is planning a mostly clearcut tractor and cable logging operation in Douglas fir (trees up to 48" dbh) and redwood (trees up to 60” dbh) forests at an elevation of 200 to 1,440 feet. 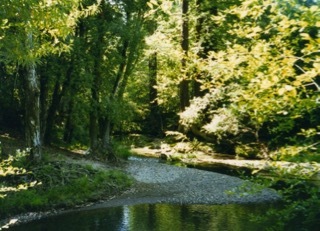 The THP area flows into the Eel River which is listed as an impaired watershed for sediment/siltation and temperature. There are unstable areas adjacent to units 2X, 2Y, and 13N. Sierra Pacific Industries is planning to use ground based equipment in areas designated for cable logging, and to construct fire lines on slopes up to 65% grade within cable units. 21 road drainage sites are planned for work including rocking, ditch cleaning, dip construction and culvert repair/replacement. Heart leaved twayblade was found in section 7, 8 and 11, Oregon fawn lily was found in sections 12 and 13, and Howell's montia was found in sections 7 and 18. There are six spotted owl nesting territories within .7 mi of the THP area. 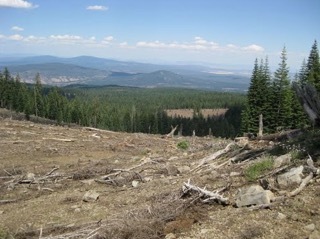 Timber Products Company to clearcut log near the CA/OR border. This THP is about 11 miles NW of MacDoel, CA and 23 miles NE of Yreka, CA at an elevation of 5,400 to 6,000 feet. Timber Products Company is planning a mostly clearcut tractor based logging operation in nice high elevation stands of white fir, red fir, Douglas fir, sugar pine, incense cedar and ponderosa pine forests. There are 27 acres of meadow, aspen and wet meadow restoration proposed where heavy equipment will be used within watercourse areas to remove encroaching conifers in unit 2A. Goshawk territories are located within sections 21 and 23 (near units 15 and 26), and an osprey territory is located 1.8 mies NE of the THP area. A spotted owl nesting territory is located within 1.3 miles of the THP area. Sierra Pacific Industries to log SE of Quincy, CA. This THP is about 6 miles SE of Quincy, CA and a mile east of Highway 89 at an elevation of 4,000 to 4,500 feet. Sierra Pacific Industries is planning a tractor based logging operation in Douglas fir, white fir, sugar pine and ponderosa pine forests. There are some existing road segments within a watercourse in sections 5, 6, 29, 30, 31 and 32. Fifty-six road drainage sites are planned for work including rocking, dip construction, ditch cleaning and culvert repair/replacement. A northern goshawk was reported in section 29, and Quincy lupine was reported in sections 5, 6, 29, 31 and 32.